The United Nations General Assembly adopted the Global Counter-Terrorism Strategy on 8 September 2006. The strategy is a unique global instrument to enhance national, regional and international efforts to counter terrorism. Through its adoption that all Member States have agreed the first time to a common strategic and operational approach to fight terrorism, not only sending a clear message that terrorism is unacceptable in all its forms and manifestation but also resolving to take practical steps individually and collectively to prevent and combat it. Those practical steps include a wide array of measures ranging from strengthening state capacity to counter terrorist threats to better coordinating United Nations system’s counter-terrorism activities. The adoption of the strategy fulfiled the commitment made by world leaders at the 2005 September Summit and builds on many of the elements proposed by the Secretary-General in his 2 May 2006 report, entitled Uniting against Terrorism: Recommendations for a Global Counter-Terrorism Strategy. 2016 marks the 10th anniversary of the UN Global Counter-Terrorism Strategy. The General Assembly reviews the Strategy every two years, making it a living document attuned to Member States’ counter-terrorism priorities. The Fifth Review of the United Nations Global Counter-Terrorism Strategy took place on 1 July 2016. The General Assmbly examined the report of the Secretary-General (A/70/826) on the implementation of the UN Global Counter-Terrorism Strategy over the past decade. It also gave further consideration to the Secretary-General's Plan of Action to Prevent Violent Extremism (A/70/674-A/70/675), which was presented by the Secretary-General to the General Assembly in January 2016. The General Assembly adopted the resolution (A/RES/70/291) by consenus. The General Assembly reviews the Strategy every two years, making it a living document attuned to Member States’ counter-terrorism priorities. The fourth review of the Strategy took place in June 2014 (A/RES/68/276) and was preceded by a report from the United Nations Secretary-General (A/68/841) that included an overview of the evolving terrorism landscape, recommendations to address challenges and threats, and a compilation of measures taken by Member States and United Nations entities to fight against terrorism. d. To further encourage non-governmental organizations and civil society to engage, as appropriate, on how to enhance efforts to implement the Strategy. Decides to inscribe in the provisional agenda of its sixty-second session an item entitled "The United Nations Global Counter-Terrorism Strategy". To consistently, unequivocally and strongly condemn terrorism in all its forms and manifestations, committed by whomever, wherever and for whatever purposes, as it constitutes one of the most serious threats to international peace and security. c. To implement all Security Council resolutions related to international terrorism and to cooperate fully with the counter-terrorism subsidiary bodies of the Security Council in the fulfilment of their tasks, recognizing that many States continue to require assistance in implementing these resolutions. To recognize that international cooperation and any measures that we undertake to prevent and combat terrorism must comply with our obligations under international law, including the Charter of the United Nations and relevant international conventions and protocols, in particular human rights law, refugee law and international humanitarian law. To continue to strengthen and make best possible use of the capacities of the United Nations in areas such as conflict prevention, negotiation, mediation, conciliation, judicial settlement, rule of law, peacekeeping and peacebuilding , in order to contribute to the successful prevention and peaceful resolution of prolonged unresolved conflicts. We recognize that the peaceful resolution of such conflicts would contribute to strengthening the global fight against terrorism. To continue to arrange under the auspices of the United Nations initiatives and programmes to promote dialogue, tolerance and understanding among civilizations, cultures, peoples and religions, and to promote mutual respect for and prevent the defamation of religions, religious values, beliefs and cultures. In this regard, we welcome the launching by the Secretary-General of the initiative on the Alliance of Civilizations. We also welcome similar initiatives that have been taken in other parts of the world. To promote a culture of peace, justice and human development, ethnic, national and religious tolerance, and respect for all religions, religious values, beliefs or cultures by establishing and encouraging, as appropriate, education and public awareness programmes involving all sectors of society. In this regard, we encourage the United Nations Educational, Scientific and Cultural Organization to play a key role, including through inter-faith and intra-faith dialogue and dialogue among civilizations. To continue to work to adopt such measures as may be necessary and appropriate and in accordance with our obligations under international law to prohibit by law incitement to commit a terrorist act or acts and prevent such conduct. To reiterate our determination to ensure the timely and full realization of the development goals and objectives agreed at the major United Nations conferences and summits, including the Millennium Development Goals. We reaffirm our commitment to eradicate poverty and promote sustained economic growth, sustainable development and global prosperity for all. To pursue and reinforce development and social inclusion agendas at every level as goals in themselves, recognizing that success in this area, especially on youth unemployment, could reduce marginalization and the subsequent sense of victimization that propels extremism and the recruitment of terrorists. To encourage the United Nations system as a whole to scale up the cooperation and assistance it is already conducting in the fields of rule of law, human rights and good governance, to support sustained economic and social development. To consider putting in place, on a voluntary basis, national systems of assistance that would promote the needs of victims of terrorism and their families and facilitate the normalization of their lives. In this regard, we encourage States to request the relevant United Nations entities to help them to develop such national systems. We will also strive to promote international solidarity in support of victims and foster the involvement of civil society in a global campaign against terrorism and for its condemnation. This could include exploring at the General Assembly the possibility of developing practical mechanisms assistance to victims. To refrain from organizing, instigating, facilitating, participating in, financing, encouraging or tolerating terrorist activities and to take appropriate practical measures to ensure that our respective territories are not used for terrorist installations or training camps, or for the preparation or organization of terrorist acts intended to be committed against other States or their citizens. To cooperate fully in the fight against terrorism, in accordance with our obligations under international law, in order to find, deny safe haven and bring to justice, on the basis of the principle of extradite or prosecute, any person who supports, facilitates, participates or attempts to participate in the financing, planning, preparation or perpetration of terrorist acts or provides safe havens. To ensure the apprehension and prosecution or extradition of perpetrators of terrorist acts, in accordance with the relevant provisions of national and international law, in particular human rights law, refugee law and international humanitarian law. We will endeavour to conclude and implement to that effect mutual judicial assistance and extradition agreements, and to strengthen cooperation between law enforcement agencies. To intensify cooperation, as appropriate, in exchanging timely and accurate information concerning the prevention and combating of terrorism . To strengthen coordination and cooperation among States in combating crimes that might be connected with terrorism, including drug trafficking in all its aspects, illicit arms trade, in particular of small arms and light weapons, including man-portable air defence systems , money laundering and smuggling of nuclear, chemical, biological, radiological and other potentially deadly materials. To consider becoming parties without delay to the United Nations Convention against Transnational Organized Crime and to the three protocols supplementing it, and implementing them. To take appropriate measures, before granting asylum, for the purpose of ensuring that the asylum seeker has not engaged in terrorist activities and, after granting asylum, for the purpose of ensuring that the refugee status is not used in a manner contrary to the provisions set out in paragraph 1 of this section. To encourage relevant regional and sub-regional organizations to create or strengthen counter-terrorism mechanisms or centres. Should they require cooperation and assistance to this end, we encourage the United Nations Counter-Terrorism Committee and its Executive Directorate and, where consistent with their existing mandates, the United Nations Office of Drugs and Crime and the International Criminal Police Organization, to facilitate its provision. To acknowledge that the question of creating an international centre to fight terrorism could be considered, as part of the international efforts to enhance the fight against terrorism. To encourage States to implement the comprehensive international standards embodied in the Financial Action Task Force's Forty Recommendations on Money Laundering and Nine Special Recommendations on Terrorist Financing, recognizing that States may require assistance in implementing them. To invite the United Nations system to develop, together with Member States, a single comprehensive database on biological incidents, ensuring that it is complementary to the International Criminal Police Organization's contemplated Biocrimes Database. We also encourage the Secretary-General to update the roster of experts and laboratories, as well as the technical guidelines and procedures, available to him for the timely and efficient investigation of alleged use. In addition, we note the importance of the proposal of the Secretary-General to bring together, within the framework of the United Nations, the major biotechnology stakeholders, including industry, scientific community, civil society and governments, into a common programme aimed at ensuring that biotechnology's advances are not used for terrorist or other criminal purposes but for the public good, with due respect to the basic international norms on intellectual property rights. b. use the Internet as a tool for countering the spread of terrorism, while recognizing that States may require assistance in this regard. To step-up national efforts and bilateral, sub-regional, regional and international co-operation, as appropriate, to improve border and customs controls, in order to prevent and detect the movement of terrorists and to prevent and detect the illicit traffic in, inter alia, small arms and light weapons, conventional ammunition and explosives, nuclear, chemical, biological or radiological weapons and materials, while recognizing that States may require assistance to that effect. To encourage the United Nations Counter Terrorism Committee and its Executive Directorate to continue to work with States, at their request, to facilitate the adoption of legislation and administrative measures to implement the terrorist travel-related obligations, and to identify best practices in this area, drawing whenever possible on those developed by technical international organizations such as the International Civil Aviation Organization, the World Customs Organization and the International Criminal Police Organization. To encourage the Committee established pursuant to Security Council resolution 1267 (1999) to continue to work to strengthen the effectiveness of the travel ban under the United Nations sanctions regime against Al-Qaida and the Taliban and associated individuals and entities , as well as to ensure, as a matter of priority, that fair and transparent procedures exist for placing individuals and entities on its lists, for removing them and for granting humanitarian exceptions. In this regard, we encourage States to share information, including by widely distributing the International Criminal Police Organization-United Nations Special Notices concerning people subject to this sanctions regime. To step up efforts and co-operation at every level, as appropriate, to improve the security on manufacturing and issuing identity and travel documents and to prevent and detect their alteration or fraudulent use, while recognizing that States may require assistance in doing so. In this regard, we invite the International Criminal Police Organization to enhance its database on stolen and lost travel documents, and we will endeavour to make full use of this tool as appropriate, in particular by sharing relevant information. To invite the United Nations to improve co-ordination in planning a response to a terrorist attack using nuclear, chemical, biological or radiological weapons or materials, in particular by reviewing and improving the effectiveness of the existing inter-agency co-ordination mechanisms for assistance delivery, relief operations and victim support, so that all States can receive adequate assistance. In this regard, we invite the General Assembly and the Security Council to develop guidelines for the necessary co-operation and assistance in the event of a terrorist attack using weapons of mass destruction. To step up all efforts to improve the security and protection of particularly vulnerable targets such as infrastructure and public places, as well as the response to terrorist attacks and other disasters, in particular in the area of civil protection, while recognizing that States may require assistance to that effect. 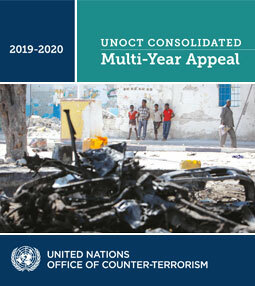 To encourage Member States to consider making voluntary contributions to United Nations counter-terrorism cooperation and technical assistance projects, and to explore additional sources of funding in this regard. We also encourage the United Nations to consider reaching out to the private sector for contributions to capacity-building programmes, in particular in the areas of port, maritime and civil aviation security. To take advantage of the framework provided by relevant international, regional and sub-regional organizations to share best practices in counter-terrorism capacity-building, and to facilitate their contributions to the international community's efforts in this area. To consider establishing appropriate mechanisms to rationalize States' reporting requirements in the field of counter-terrorism and eliminate duplication of reporting requests, taking into account and respecting the different mandates of the General Assembly, the Security Council and its subsidiary bodies that deal with counter terrorism. To encourage measures, including regular informal meetings, to enhance, as appropriate, more frequent exchanges of information on cooperation and technical assistance among Member States, United Nations bodies dealing with counter terrorism, relevant specialized agencies, relevant international, regional and sub-regional organizations, and the donor community, to develop States' capacities to implement relevant United Nations resolutions. To welcome the intention of the Secretary-General to institutionalize, within existing resources, the United Nations Counter-Terrorism Implementation Task Force within the Secretariat, in order to ensure overall co-ordination and coherence in the United Nations system's counter-terrorism efforts. 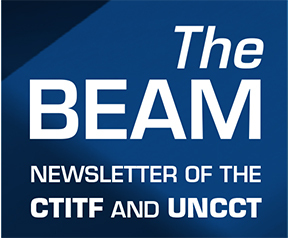 To encourage the United Nations Counter-Terrorism Committee and its Executive Directorate to continue to improve the coherence and efficiency of technical assistance delivery in the field of counter-terrorism, in particular by strengthening its dialogue with States and relevant international, regional and sub-regional organizations and working closely, including by sharing information, with all bilateral and multilateral technical assistance providers. To encourage the United Nations Office on Drugs and Crime, including its Terrorism Prevention Branch, to enhance, in close consultation with the United Nations Counter-Terrorism Committee and its Executive Directorate, its provision of technical assistance to States, upon request, to facilitate the implementation of the international conventions and protocols related to the prevention and suppression of terrorism and relevant United Nations resolutions. To encourage the International Monetary Fund, the World Bank, the United Nations Office on Drugs and Crime and the International Criminal Police Organization to enhance cooperation with States to help them to comply fully with international norms and obligations to combat money-laundering and financing of terrorism. To encourage the International Atomic Energy Agency and the Organization for the Prohibition of Chemical Weapons to continue their efforts, within their respective mandates, in helping States to build capacity to prevent terrorists from accessing nuclear, chemical or radiological materials, to ensure security at related facilities, and to respond effectively in the event of an attack using such materials. To encourage the World Health Organization to step up its technical assistance to help States improve their public health systems to prevent and prepare for biological attacks by terrorists. To continue to work within the United Nations system to support the reform and modernization of border management systems, facilities and institutions, at the national, regional and international level. To encourage the International Maritime Organization, the World Customs Organization and the International Civil Aviation Organization to strengthen their co-operation, work with States to identify any national shortfalls in areas of transport security and provide assistance upon request to address them. To encourage the United Nations to work with Member States and relevant international, regional and sub-regional organizations to identify and share best practices to prevent terrorist attacks on particularly vulnerable targets. We invite the International Criminal Police Organization to work with the Secretary-General so that he can submit proposals to this effect. We also recognize the importance of developing public-private partnerships in this area. To reaffirm that General Assembly resolution 60/158 of 16 December 2005 provides the fundamental framework for the "Protection of human rights and fundamental freedoms while countering terrorism". To reaffirm that States must ensure that any measures taken to combat terrorism comply with their obligations under international law, in particular human rights law, refugee law and international humanitarian law. To consider becoming parties without delay to the core international instruments on human rights law, refugee law and international humanitarian law, and implementing them, as well as to consider accepting the competence of international and relevant regional human rights monitoring bodies. To make every effort to develop and maintain an effective and rule of law-based national criminal justice system that can ensure, in accordance with our obligations under international law, that any person who participates in the financing, planning, preparation or perpetration of terrorist acts or in support of terrorist acts is brought to justice, on the basis of the principle to extradite or prosecute, with due respect for human rights and fundamental freedoms, and that such terrorist acts are established as serious criminal offences in domestic laws and regulations. We recognize that States may require assistance in developing and maintaining such effective and rule of law-based criminal justice system, and we encourage them to resort to the technical assistance delivered, inter alia, by the United Nations Office on Drugs and Crime. To reaffirm the United Nations system's important role in strengthening the international legal architecture by promoting the rule of law, respect for human rights, and effective criminal justice systems, which constitute the fundamental basis of our common fight against terrorism. To support the Human Rights Council, and to contribute, as it takes shape, to its work on the question of the promotion and protection of human rights for all in the fight against terrorism. To support the strengthening of the operational capacity of the Office of the United Nations High Commissioner for Human Rights, with a particular emphasis on increasing field operations and presences. The Office should continue to play a lead role in examining the question of protecting human rights while countering terrorism, by making general recommendations on States' human rights obligations and providing them with assistance and advice, in particular in the area of raising awareness of international human rights law among national law-enforcement agencies, at States' request. To support the role of the Special Rapporteur on the promotion and protection of human rights and fundamental freedoms while countering terrorism. The Special Rapporteur should continue to support States' efforts and offer concrete advice by corresponding with Governments, making country visits, liaising with the United Nations and regional organizations, and reporting on these issues.